The endpoint security market continues to expand with vendors old and new marketing their solutions as “next generation” game-changers. However, closer inspection reveals that many new solutions have been built on old platforms, many of which still rely heavily on signature-based detection and obsolete architecture. Navigating this crowded vendor landscape can be challenging — how does the buyer find the true next-generation protection today’s targeted, advanced threats demand? 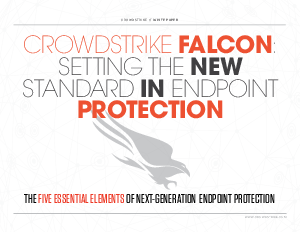 This white paper, “The Five Essential Elements of Next -Generation Endpoint Protection,” offers guidance on how to see through the hype and understand the critical must-have elements that meet true next-generation criteria and set a new standard in EPP.